Do you struggle with areas of fat on your body that just won’t respond to diligent dieting and exercise? You shouldn’t have to. By paying a visit to our Dallas location, you can discover if you are a viable candidate for the SmartLipo™ procedure. This has quickly become one of the most successful liposuction procedures in the cosmetic surgery field due to its advanced laser-assisted technique and minimally invasive nature. Dr. Casad strives to provide personalized and exceptionally experienced care to every valued patient that helps them work towards becoming a healthier, happier person, and she’ll ensure that you’re comfortable and satisfied with your SmartLipo™ treatment all the way through. SmartLipo™ utilizes small instruments and specialized thermal lasers that target fat cells specifically, using sound energy to disrupt and dissolve them. This allows Dr. Casad to delicately reshape areas of the body that you’ve requested be improved, including love handles, thighs, hips, arms, chin, neck, knees, or the abdomen. A gentle suction is then used to massage all of the fat out of the body while a small percentage is retained and eliminated naturally during the next day. The reshaping will create a more natural appearance for the treated body areas. SmartLipo™ is often recommended for patients due to the brief downtime and minimized discomfort involved. This allows patients to resume normal work and play in a much faster timeframe than more traditional lipo procedures. While the treatment should prove highly effective for patients wishing to lose small amounts of fat, it will not do the same for those with a significant amount to lose. During your first appointment at our office, we can help you form realistic expectations for what you can achieve with this procedure. SmartLipo™ is an effective treatment for men and women who want to achieve a more toned and sculpted appearance. It is not a weight loss procedure, but instead a contouring method for someone who has a relatively healthy lifestyle. To achieve the best results, it is recommended for those who have a Body Mass Index (BMI) of 29 or lower. The ideal candidate will have some extra fat, but no loose skin. It is best if you are in good health but still have areas where you have not been able to tone or firm. 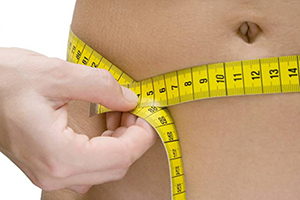 SmartLipo™ can treat you if you need significant but not major improvement. It can be used to help you if you would like to revise prior liposuction procedures. Using the procedure, we can treat multiple areas at the same time while helping you achieve natural-looking results with the minimally invasive solution. To ensure that it is the right option for you, you must be in good overall health. Your medical history and medications will need to be discussed, as well as your allergies and alcohol or tobacco use. If you smoke or have diabetes, there may be some concerns that will need to be discussed. What Body Parts Can SmartLipo Treat? Does SmartLipo Require a Hospital Visit? SmartLipo has become the preferred alternative to traditional liposuction because it is minimally invasive. In fact, it does not even require a hospital stay. The procedure is performed in-office at our surgical suite for your comfort and convenience. You will be medicated prior to the procedure, and Dr. Casad will use a local anesthetic to minimize any discomfort. It can take some time for the effects to wear off; therefore, you will need to arrange for a friend or loved one to drive you home. The duration of the procedure varies depending on how many areas are being treated. On average, a single location will take about an hour. If SmartLipo is used for multiple areas, it can take up to three hours. Dr. Casad wants to help women be at their very best, and her in-depth experience and skills in all facets of health will be sure to make your treatment as smooth and enjoyable as can be. We look forward to welcoming you to our Dallas, TX location.